Reinforced, dependable plastic bulk Can Pallets are designed to safely and efficiently move cans from the can manfacturer to the can filler. Can Pallets pallets are available in a popular 44" x 56" size, with a low-profile 5" height to maximize the quantity of can layers with optimal freight density. Don't see any Can Pallets that meet your needs? 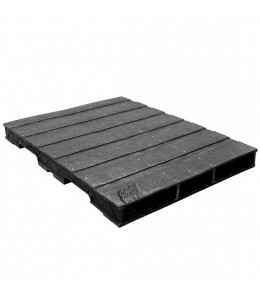 Contact our pallet experts for assistance.